Stock markets are one of the greatest inventions of our capitalistic world. They work so simply and at the same time, nobody can predict them. You trade financial instruments there, but at the same time, it’s more a social ecosystem than you can imagine. Its moves are driven by almost anything that happens to our society – from economic fundamentals to emotions in our brains and future expectations. The market reflects not only the financial world but its a barometer of our society as a whole. Stocks are just shares of a company. Before taking a look at how the stock market works, let’s see what stocks are. Stocks (also called shares) are simply parts of companies. If you own Google stocks, for example, you practically own a piece of Google Inc. and all its profits, assets and liabilities it has. If all the shares of Google were 100 and you owned 2 of them, you would pose 2% of the whole company. All public companies (like Google Inc., IBM, Apple, etc.) have issued a certain number of shares/stocks and if you want to buy some, you do this on the stock market. These companies are called public because everybody (the public) can buy their stocks. But why would a business want to issue shares and sell them to people? Companies sell parts from their businesses mainly for money. Imagine that you have a great business (CoolBusiness Inc.), but you don’t have enough cash to grow it. Banks don’t want to lend you money, because you are small, you have no credit history or whatever else. What would you do? You can sell a part of your business on the stock market for example. You can split the company into a certain number of shares (let say 1000) and offer them to people, who are interested (the investors) at a certain price (let’s say $10 each). The investors get a piece of a prospective business and its future earnings and you get the money to run it. In this example, you can offer 500 shares (50%) to investors and keep the rest 500 (the other 50%) for yourself. In this case, you will get 500 x $10 = $5 000 to finance CoolBusiness’ activities, but you will own just a half of your business after that. If you borrowed money, you would have kept 100% of the business, but you would have to pay it back. By issuing shares, you just sell a piece of your company and you don’t need to return the money. The stock market is simply the place where businesses and investors meet. There you can buy or sell pieces of public companies (their shares). 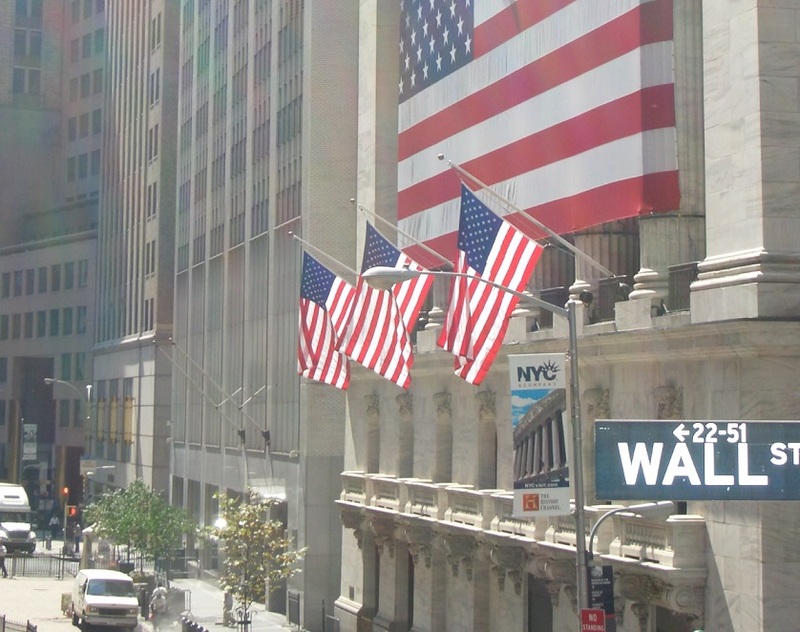 It’s the place where public companies raise cash from the public and institutional investors. This way of funding is called equity financing. NASDAQ – (National Association of Securities Dealers) – an electronic exchange where usually stocks of tech companies are traded. NYSE – (New York Stock Exchange) – located in New York, it’s the worlds largest stock exchange by the market cap of the companies traded there. NYSE MKT – the former AMEX – American Stock Exchange. To trade on one of these stock exchanges, you don’t have to go to where they are located. In today’s world, you can do this online, by just opening an account with a broker. This is how people from all around the world can buy or sell shares there and actually finance the public companies. Listing a business there exposes it in front of millions of potential investors and also increases its popularity. It’s obvious that if you have a prosperous company, you won’t be experiencing a lack of cash there. This is how good companies get more attention than the bad ones. Something like a financial evolution happens there, the vital and potential survive, and the week suffer. In order for a company to get listed on a stock exchange and be traded there, it should become a corporation first and then make an IPO (Initial Public Offering). In our case with CoolBusiness Inc., you make an IPO for $5 000, selling 500 shares at $10 each. Once an investor buys a part of your shares, she can hold it or sell it to someone else. Your company acquires money only by its IPO if a shareholder sells the shares she bought on the IPO, she sells it on the so-called ‘secondary market’. It’s the same exchange, but ‘secondary’ means that the shares are not traded for the first time. All following trades after an IPO happen on the secondary market. What happens on the secondary market? 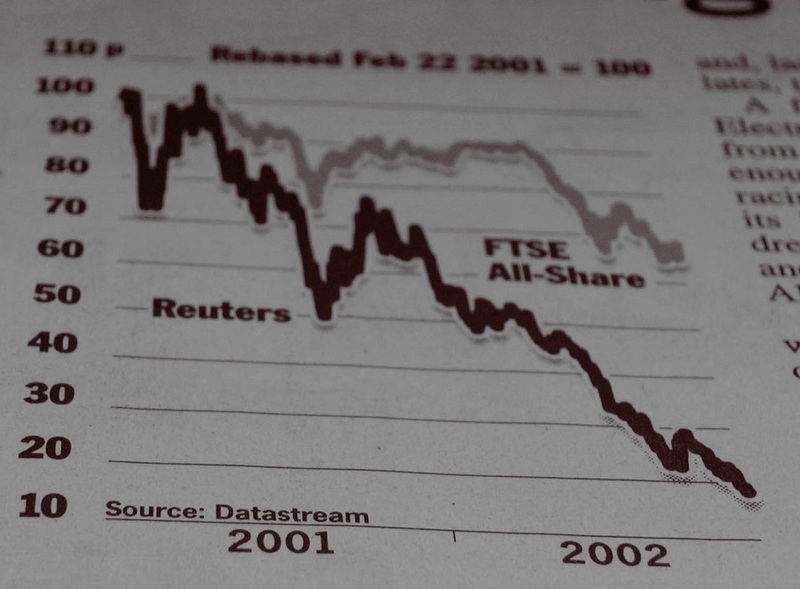 On the secondary market, shares are traded after the IPO of a company. If the IPO of our CoolBusiness Inc. is successful, the company gets $5000 from its first investors and here the game ends for it, just for now. All shareholder now can hold the shares they bought at $10 and wait for dividends or capital gains (an increase of the price of the shares), or sell them to other investors on the market. Everybody (with a brokerage account) now can place orders to buy from the already issued shares of CoolBusiness Inc. If the business of the company is going well, the prices of shares will go up, because more and more people will be willing to pay more and more money for a piece of a more and more successful business. As we said earlier, as a shareholder you own a piece of the business, its earnings, and assets. As it grows, you own more assets and earnings with your shares and this is why their price rises. The opposite is also true if your business loses money, its assets will go lower and your shares become pieces of a smaller and smaller business with less and fewer assets. This is why their price will go down. 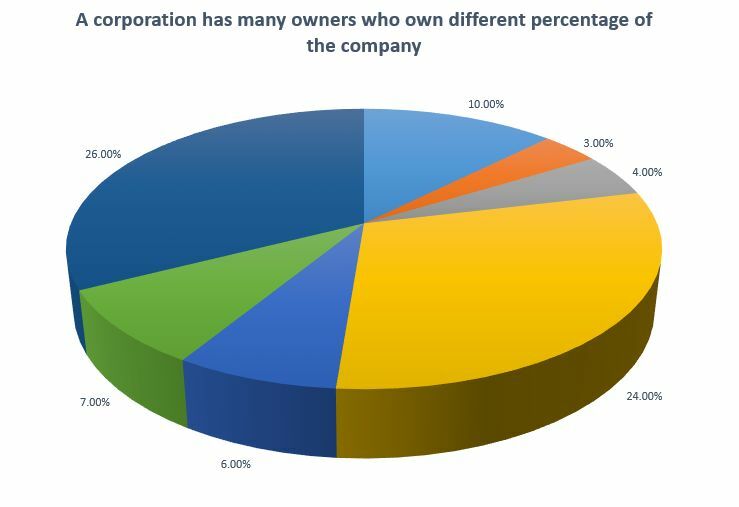 The total sum of the prices of all shares forms the market capitalization of a company. CoolBusiness Inc. has 1 000 shares in total ( it doesn’t matter that only half of them are sold to investors) and the price of one share is $10 on the IPO day. This sets the market capitalization (value) of the company at 1000 shares * $10 each = $10 000. The market cap changes when the share price changes. If the price reaches $11, the market value will reach $11 000. This is how the market sets a price for your entire company. The market prices are driven by supply and demand of shares. If a company makes bigger profits, the demand for its shares increases, the supply lowers and the price goes up. If an investor buys some shares when the price is $11 and after that sell them when the price reaches $22, she makes a capital gain of $22-$11=$11 per share. When the profits get lower, the same turn in action in the opposite direction. The price gets lower and investors make a capital loss. Of course, this is just a simple example of how the stock market works. Actually, the forces that move share prices are endless, they could be financial (profits, revenue…), macroeconomic (trade deficits, public debt…), social (birth rate, diseases…), emotional (fear, greed…) and all other. They are so many that nobody is able to predict the future prices with 100% accuracy. There is always a risk when investing, but this is why returns here are potentially higher. To make good investments and make money, you should know if the market price of a certain company is a good deal or not. How to know that? There is not an easy answer… There are different methods for evaluating a company like calculating some market coefficients (like P/E, P/B), evaluating future discounted cash floes and many more. But no method can be 100% sure, because of the many unknown and unpredictable factors that drive the markets. However, objective factors like future earnings, revenue, and income potential play a major role in setting up the prices. Because there are so unknown and unpredictable things that my move share prices, there are many different investment strategies out there. Some are long-term investors, they take advantage of the power of compounding and bet that a company will grow in the long run, no matter the temporary bumps and dumps of profits and sales. An example of such a strategy is one called ‘Buy and hold’. Others don’t like freezing their money for so long, they buy shares and sell them after an increase in their price – the ‘Buy low and sell high’ strategy. Third buy and then immediately sell the shares after even a small increase in the same day. These are called intraday traders. Others practice the so-called value investing and so on and so on… Actually, there are thousands of different strategies, the Dogs of the Dow is an interesting one, for example. Stock markets do crash from time to time. There are no clear reasons on why this happens, but it happens and this will continue in the future. Many economists and financiers have tried to explain these crashes, but they still remain unpredictable and inevitable. More about these strange market situation we will discuss here: Stock market crashes. To be traded publicly, a business must be incorporated first. Corporations are a very interesting object. According to US law, they are like persons they have a tax number, can buy or sell and many other legal activities ordinary people do. And the most interesting thing about them is that they can live … forever. This means that corporations are a great way to leave your ideals, values, and understandings after you. If you run a corporation, you can act from, and hide behind its name. This is another interesting feature of corporations, they have limited liabilities. This means that the liabilities of your corporation are limited to it itself. All of its owners are not responsible for its activities. If the corporation gets sued, the worst thing that can happen to it is to shut down, all of its owners (the shareholders) are not responsible for any activities. They can only lose their investment in shares, but cannot be sued or liable because of the corporation. This was quite a long article about how the stock market work. Did you like it? If so, please, consider sharing it with friends and appreciating our work. This way you will help us write many more cool posts like this. Thanks! 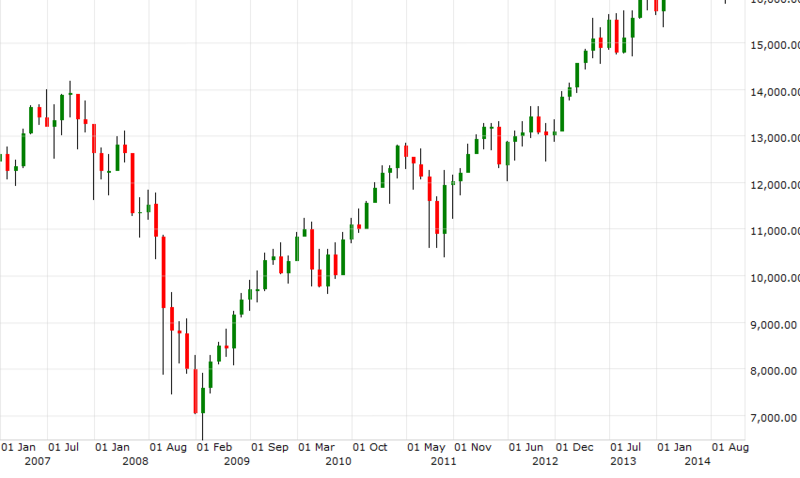 Previous story What Is A Stock Market Crash? When Do Market Crashes Happen And How To Predict Them?